This section provides configuration options that affect the Administration functionality in MySQL Workbench (see the figure that follows). 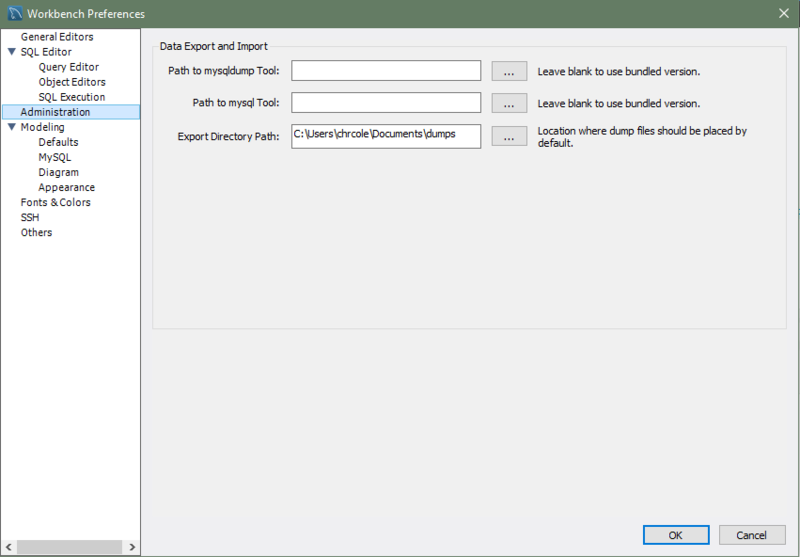 Path to mysqldump tool: Path to your local mysqldump binary. Leave it blank to use the bundled mysqldump binary. Path to mysql tool: Path to your local mysql client binary. Leave it blank to use the bundled mysql binary. Export Directory Path: Directory where your exported mysql dumps are located.